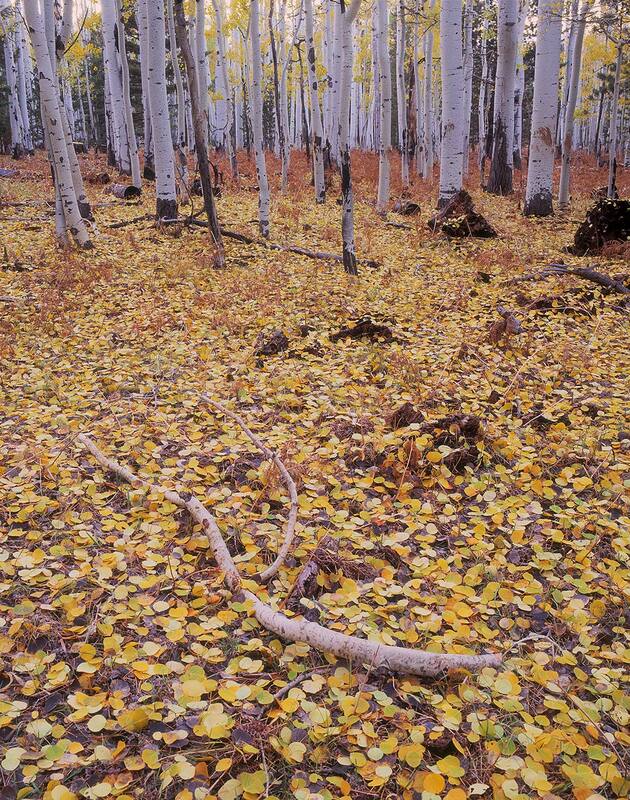 This forest floor, sprinkled with the remains of aspen gold under a purple evening sky, reminds me of the short flame of beauty in all things that grow and change- of the importance of living in the moment in order to appreciate them. And how the passing of such rare moments is necessary for growth and greater beauty. The title comes from a poem by Robert Frost.